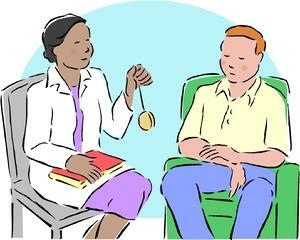 Hypnosis is an excellent tool for healing. We all have a storehouse of thoughts and beliefs that were saved in our subconscious at a time when they served a purpose. They kept us safe from physical, mental, and spiritual harm. The problem arises when they stop us from living a productive life. So, if your father did not acknowledge you because he was too busy working and worrying about the bills, you might believe that you are unworthy of love. You might believe that no man could ever love you. And so even when you do meet someone who is ready to love you, you push him away knowing that it is inevitable that he will see that you are truly unworthy. Hmmm. So in a case like this, the old perception which has formed into a firm belief stops you from accepting the love that is offered. You can’t be loveable – based on the old thoughts that you have kept stored and alive. In order to change this limiting belief, it is only necessary to look at it with new eyes and to feel and release the stuck energy of rejection. It is only necessary to let go of the feelings that have been nurtured inside of you. These feelings become habits. They are like old friends that you feel compelled to acknowledge. It is only necessary to walk through the forgiveness process for both the other person (like father in this case) and for yourself for holding it so long. Holding on is a waste of your vital life force energy that is needed to experience the joy and happiness that is all around us. Healing is possible if you are ready, willing, and able !